A man resembling North Korea’s supreme leader caused quite a stir by dancing in front of North Korean cheerleaders on Wednesday at the Winter Olympics. The North Korean cheerleaders, handpicked for their good looks and loyalty to the regime, were far from thrilled by the presence of the faux Kim Jong Un in their section. 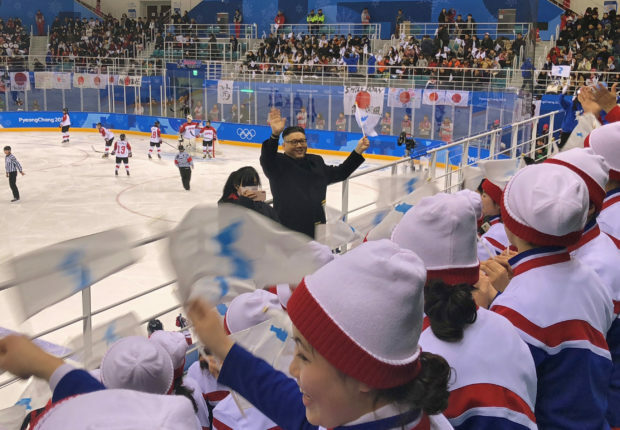 Confusion quickly gave way to outrage as the man, who later identified himself as Howard, strolled past the North Korea’s cheerleaders during a hockey match in Gangneung, South Korea. The Kim Jong Un lookalike made his way past the cheerleaders during a women’s hockey showdown between the unified Korean team and Japan. He was waving the unified Korea flag at the time. The Kim Jong Un lookalike was shooed away by security officials, and then he was ultimately ejected from the arena. The man was accused of making political statements by impersonating the North Korean dictator, but he insisted that he simply looked like Kim. “I just showed up with my flag and my face … If you do not like my face there’s nothing you can do about it, I was born this way,” he told reporters. 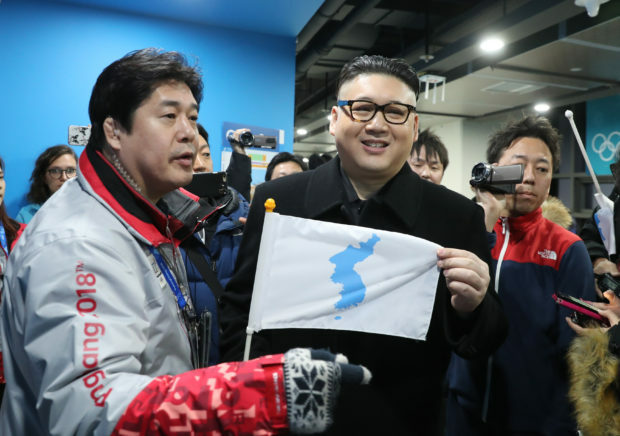 Howard is the second Kim Jong Un lookalike/impersonator to be thrown out of the Winter Olympics in South Korea, where the South Korean government is trying to use the Games to facilitate inter-Korean peace.